I had the pleasure of interviewing David Gorodyansky, CEO of AnchorFree. ShiraHirschmanWeiss, Come follow me on The Huffington Post. I love getting to know and learning from inspiring people. Reality TV philosopher. I had the pleasure of interviewing David Gorodyansky, CEO of AnchorFree, a company that provides online freedom, security and privacy and keeps content from hackers. You may wonder from the title above, “improving the world?” In today’s day and age it’s hard to argue that access to all of the data you need and having it protected from hackers is not as essential as clean air and water. While you may deem that hyperbole, the question of whether or not the Internet influenced our last election and how the outcome affected you and your quality of life (i.e. Are you constantly arguing politics on Facebook? )can be considered. Gorodyansky set out to do something that would help people worldwide after seeing that Virtual Private Networks (VPNs) were just being used by corporations. 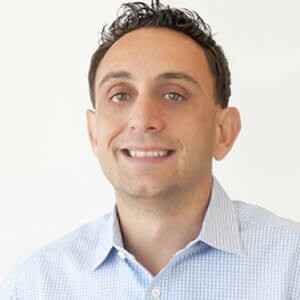 At age 23, he founded AnchorFree which developed HotSpot Shield https://www.hotspotshield.com/, a downloadable software with a built in VPN for the masses. The idea was simple: Give people access to content with the ultra-secure web browsing. Even AnchorFree doesn’t log users’ data, so they are protected from themselves. Gorodyanksy has seen many other companies in Silicon Valley (that is where AnchorFree is based) that are focused on gaming apps and other less essential provisions. As a young boy, however, his social conscience was in overdrive and he asked himself: “What can I do to advance the world forward?” Since then, he has been mission-driven, which is also the way he characterizes his company, and intent on creating innovations that improve the quality of lives worldwide. Over dinner with Justice Ruth Bader Ginsburg, I asked her what advice she would give young people. She answered, “Try the door. If you get to a locked door, keep trying to open it.” I asked what she thought was a key lesson she learned from being a Supreme Court Justice and she said “the ability to listen.” Most people are not good listeners, she explained, but lives depend on how well Supreme Court Justices listen. I found that all the world leaders and icons that I’ve met had a real interest in the future and all remained young at heart (and they always kept listening). The Secretaries of State and Supreme Court Justices who I’ve met were obsessed with ideas, not things and I think that’s very important to note — specifically ideas about the world and the future. “In answer to the question of where I see myself in 10 years: I see myself at the intersection of technology and foreign policy. I want to continue to combine idealism and pragmatic solutions to solve many of the world’s challenges. I have a huge amount of respect for projects like the XPrize and would like to see similar initiatives in more countries. I would like to help young people and entrepreneurs focus on what is important. Ideally, I’ll be able to play a role in advancing the world forward and will inspire others to do the same.